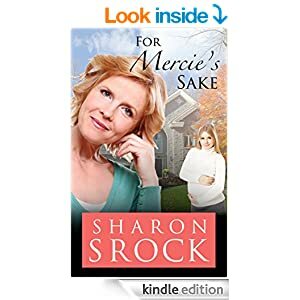 For Mercie's Sake is an inspirational short story by Sharon Srock. I picked it up during a free day (as I am wont to do) and read it a over the last few days. You can purchase it on Amazon through the link below. I find I'm getting pickier and pickier as a reader. Of the last four or five books/stories I've started, I've put about 75% of them down before reaching the 10% mark (I love how the kindle ap on my phone tells me the percentage left). I'm also not a big reader of inspirational fiction or women's fiction or anything that doesn't have dragons (bring on the dragons, people! ), but I definitely enjoyed and was in some places moved by this short book. It does have Christian elements, so if that sort of thing makes you annoyed or angry, you have been warned, but I did not find it overly preachy. It was a good, feel good read with a lot of character development considering the length.